The company had released the beta version for India last month. The beta testing is expected to conclude by July 24. Users will then start receiving the stable version of Xiaomi's custom ROM. 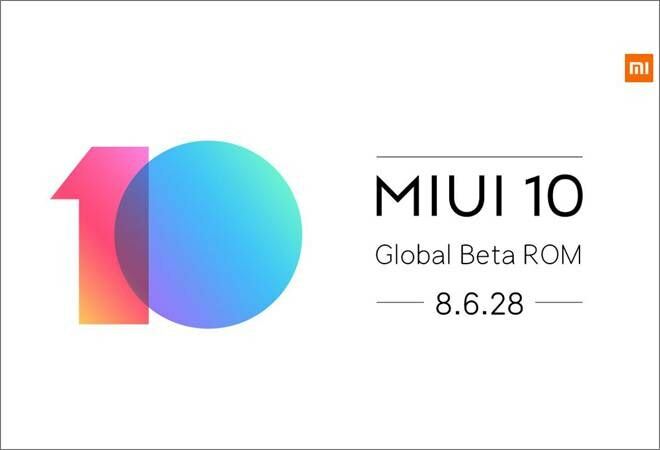 Xiaomi will be launching the stable build of MIUI 10 by the end of this month. The company had released the beta version for India last month. The beta testing is expected to conclude by July 24. Users will then start receiving the stable version of Xiaomi's custom ROM. The company has launched a list of devices that will receive the Global stable ROM once the beta version completes its testing period. There are some surprise entries in the list of devices but it seems Xiaomi has skipped the new Redmi 6 series from the list. Considering that the Redmi 6 series is the company's latest line-up and is expected to sell in good numbers, the devices should receive the update sooner than later. The Redmi 5 series phones have featured in the list as well. Unsurprisingly, Xiaomi has named the Mi 8 series in the list. The company will be rolling out the update in phases. Going by convention, the latest phones recieve the update earlier. One of the biggest changes can be seen on the 'Recents' page of the operating system. Xiaomi has taken a unique approach to the 'Recents' screen. The new layout lets-in more tasks at a time by placing the windows vertically. The new aspect ratio will be put to use by the full-screen display gesture. To delete a task one will have to swipe and for more options the user will have long press on the task.